1. Watch and believe Corporate owned Media and the messages it promotes. The pursuit of knowledge and truth is not an American value. Be a patriot!! 2. Buy products sold by Corporations that advertise in the Corporate owned Media. Support your local Corporate owned mega store, buy all your goods there. Be a hero!! 3. Don't Vote. 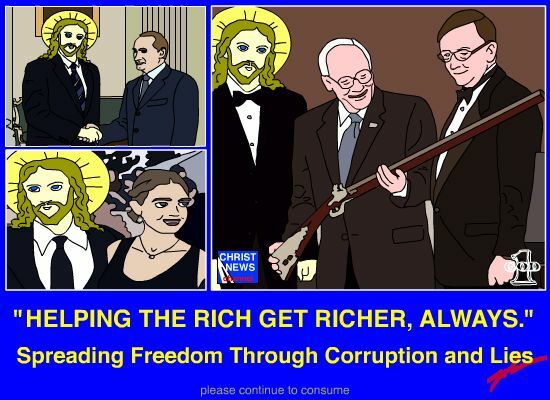 Voting doesn't do anything, if you want to change the world start a Corporation and donate money to politicians. Be a visionary!! 4. If you do vote, vote for the incumbent, especially if the incumbent is a Republican. There is nothing more manly than a Republican, except a Republican with a big gun, or fighter jet, or tactical nuclear arsenal. Be a man's man!! 5. If you don't vote Republican, vote Democrat. For the most part Corporations can rely on them too. 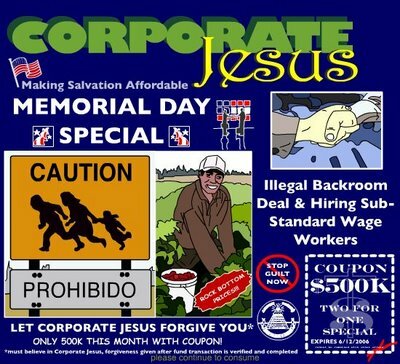 Support Corporate Jesus, and above all DO NOT view or forward these images!! Check out the iPlant. Link Here!! Are you a wall builder? Does your Corporation manufacture barriers or security gates? Be sure to check out the link to the Riches* program below!! Make sure you see how it works!! Check out the iPlant? Link Here!! 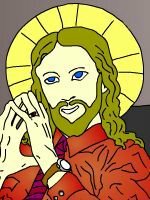 Weeks ago Corporate Jesus was approached by agents of Lou Schiffer who attempted to blackmail and extort monies from the beloved Corporate Saviour. These agents offered to sell these uncertified and unauthenticated images to Corporate Jesus for $4M. 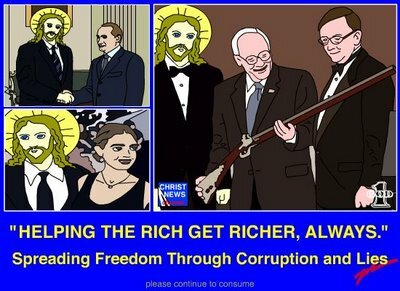 When Corporate Jesus refused to meet their demands they threatened to publicize the images over the internet and then asked for a total of $8M to keep the story quiet and turn over the images. Because of Corporate Jesus' high moral standards he knew that the only correct course of action required his admitting this singular transgression and asking his Father for forgiveness. These images are uncertified, unauthenticated, and have been obviously doctored and therefore cannot be trusted. 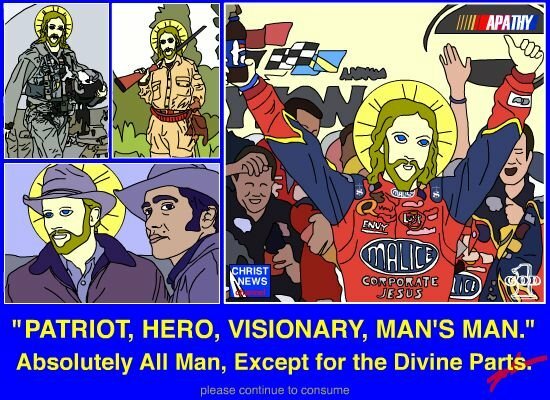 Corporate Jesus has repented in his heart and has been forgiven by his Father. Please conduct all business as usual.